Horse and rider combinations having the best average for the top five (5) rides of those submitted for each level from Introductory through Fourth Level. Horse and rider combinations having the best average for the top four (4) rides of those submitted for each of the FEI levels from PSG through Grand Prix. Horse and rider combinations having the best average for the top three (3) rides of those submitted for Musical Freestyle at each USDF and FEI recognized level (training through Grand Prix). Champion and Reserve and third through sixth place awards will be awarded for Open, Adult Amateur and Junior (Jr)/Young Rider divisions. Final divisions for each level are at the discretion of the Dressage Committee as entries warrant. Rides will be counted at the level they are ridden (e.g. Training, Second). The rider must select which division they wish to compete in (Jr/Young Rider, Adult Amateur, or Open) as per their USEF classification, e.g. professional rider (Open), Adult Amateur, etc. An Adult Amateur or Jr/Young Rider may compete in more than one division, for example Adult Amateur and Open, if they complete the required number of tests for each division (10 unique tests total for USDF level, 8 unique tests for FEI level, or 6 unique tests for Freestyle). It is the competitor’s responsibility to ensure that they have the required number of rides at each level within the division. IDCTA has a Score Report Form available for use by Open, Adult Amateur, Junior and Life members. The Score Report Form is available on the website, can be printed from the newsletter when published, or requested from the VP of Dressage or any Board Member. One form should be used per level/division and requires a copy of each test clearly indicating the name and location of the show, name of the judge, name of the horse, name of the rider, the date of the show and has the judge’s signature. 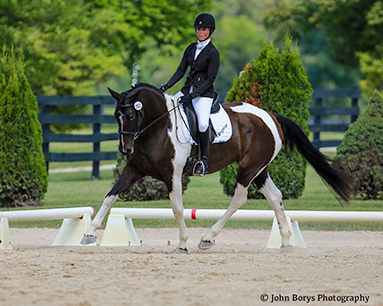 Alternatively, a score report from the USDF website can be attached to the form after indicating which rides are selected for USDF/USEF recognized shows. 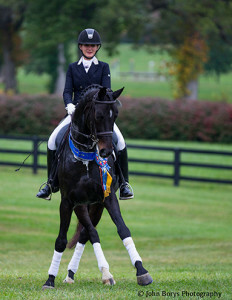 Section 1: In order to qualify for any awards, the rider of each horse must be a member in good standing of IDCTA at the time the scores are earned. 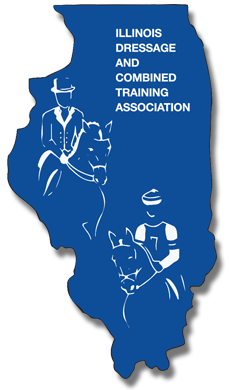 If the rider would like to count a show score or scores that occurred prior to becoming a member of IDCTA, a $50 late fee in addition to the regular membership fee must be paid in order to count the score(s). Section 2: It is each rider’s responsibility to report his/her own scores. All mailed Score Report Forms with proof of scores, and a completed Volunteer Hour Form, must be postmarked no later than October 31. If that date falls on a Sunday or mail holiday, awards must be postmarked by the next day. It is each rider’s responsibility to send a copy of the tests or a score report from USDF attached to IDCTA’s Score Report Form to the awards chairperson (listed on the form). If any part of the test or score sheet is illegible or not completed, the score will not be counted. It is the rider’s responsibility to see that the test or score sheet includes the name of the rider, name of the horse, name of the show, date of the show, class number, level, test number, division, score, percentage, and judge’s name and signature. Section 3: Only shows open to all competitors will be counted. For each of the award levels, Introductory through Fourth Level, one must have a minimum of five (5) rides, a minimum of three (3) USDF recognized shows, and a minimum of three (3) different USDF/USEF recognized judges. In the case of two judges for a class, the pair shall be considered one (1) judge (an average of the two scores will be taken). Of the 5 scores submitted for year end awards, one score must be the highest test of the level. For each of the FEI award divisions, Prix Saint Georges through Grand Prix, one must have a minimum of four (4) rides, a minimum of two (2) shows, and a minimum of two (2) different USDF/USEF recognized judges. In the case of two judges for a class, the pair shall be considered one (1) judge (an average of the two scores will be taken). For each Freestyle level, one must have a minimum of three (3) rides under two (2) different USDF/USEF recognized judges from 2 different USDF recognized show. Section 5: The show year begins on November 1 (or that weekend) for one year and ends on October 31 (or that weekend) of the following year. Section 6: All members who wish to be eligible for year end awards must volunteer a minimum of five (5) hours per calendar year at one or more IDCTA-sanctioned shows or activities, or pay a $50 fee in lieu of hours worked. The hours will be recorded by the member and forwarded to the applicable awards chairperson by October 31st of that competition year. To enable members to comply with this requirement, a volunteer hours recording form will be published in the Scribe and made available on the IDCTA website. The Board of Directors shall identify sanctioned shows and activities and make them known to the membership through the Scribe and the website. The horse needs a minimum of three scores, from at least two judges, from three different USDF recognized competitions or two different USDF Recognized competition and one IDCTA recognized Schooling Show competition* in the categories listed. Horse owner must be an IDCTA member at the time the scores are earned. If the rider would like to count a show score or scores that occurred prior to becoming a member of IDCTA, a $50 late fee will be assessed in order to count the score(s). The Amateur/Junior handler needs a minimum of three scores, from at least two judges, from three different USDF recognized competitions or two different USDF Recognized competition and one IDCTA recognized Schooling Show competition* in the Amateur/Junior handler class. The handler must be an IDCTA member at the time the scores are earned. If the rider would like to count a show score(s) that occurred prior to becoming a member of IDCTA, a $50 late fee will be assessed in order to count the score(s). As with other awards, five hours of volunteer time are required upon submission to be eligible for the award.